I normally love making hearty meals, but sometimes I’m not in the mood to cook. For days when I don’t feel like cooking, I have frozen Aji fry in my freezer. All I have to do is take it out and fry it. Pretty convenient, right? I buy a lot from the Japanese market and stick in the freezer until ready to use. So what is Aji fry? 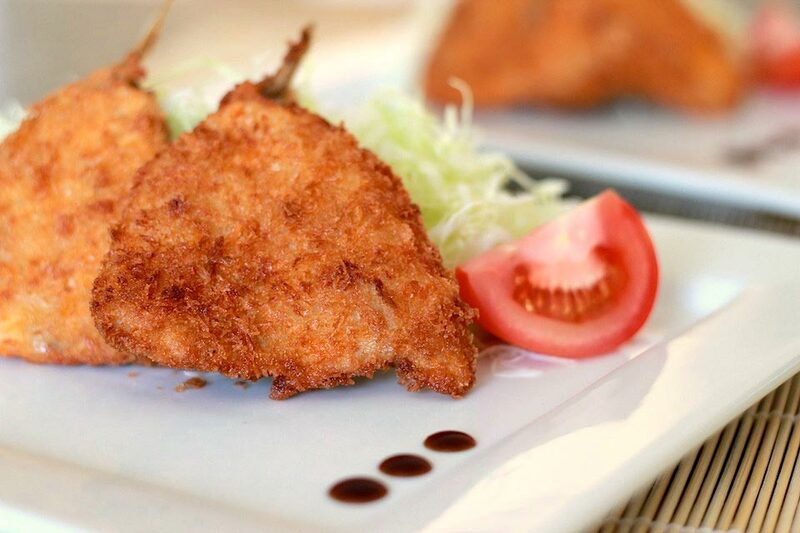 It’s panko-crusted, deep-fried horse mackerel. It tastes pretty yummy with homemade tartar sauce and tonkatsu sauce and I usually serve it with shredded cabbage and rice. Have you tried Aji fry yet?